Hong Kong and Singapore are both well recognized as nations with very established and strong financial markets, which are a safe haven for investment and have been free of recent financial crises that have plagued other regions. They both also enjoy the benefit of being close to, and in the case of Hong Kong, part of a much coveted nation, China, and are often viewed by overseas companies as strategic entry points to the Chinese market. Although China has a very strict capital control policy, as a result of which it is very difficult to tap into liquidity pools in the nation’s currency, the Chinese renminbi (RMB), there is demand in the institutional sector for access. Today, the Hong Kong Monetary Authority (HKMA) has made two enhancements to the provision of renminbi liquidity to authorized institutions participating in renminbi business in Hong Kong. Under the existing RMB liquidity facility, the HKMA provides one-week RMB funds to Participating AIs against eligible collateral, with funds available on a next day basis (T+1). The first of such revisions determines that in addition to providing funds of one week tenor on T+1 basis, the existing facility will provide one-day funds which will also be available on the next day (T+1). The HKMA will continue to make use of the Swap Agreement with People’s Bank of China in providing such funds. 2. Overnight funds, available on the same day (T+0), will be provided to help banks meet their liquidity needs. The HKMA will use its own source of RMB funds in the offshore market to provide such lending, and expects the amount of overnight funds to be provided will be up to 10 billion RMB in total on a single day. The regulator defines these instruments as tenor, which is not a common term of reference as it usually refers to time frames of bank loans however in this instance it is used to describe the terms of fixed-income instruments such as government bonds and corporate bonds. HKMA CEO Norman Chan made a statement on behalf of the regulator today: “The HKMA’s introduction of two enhancements to the RMB liquidity facility will strengthen liquidity management of banks participating in the RMB business and support further development of Hong Kong as the hub for offshore RMB business”. The regulatory authority also stated that participating authorized institutions are welcome to use the facility to meet short-term funding needs. They are, however, advised to plan their funding ahead of time and avoid over-dependence on the RMB liquidity facility. The HKMA intends to review the terms and conditions of the facility in the light of actual operating experience. Furthermore, today saw the introduction of the very first company to offer the trading of its shares in RMB. Yangzijiang Shipbuilding (Holdings) Ltd will be the first company to have trading of its shares in the Chinese currency on SGX’s dual currency trading platform, the commencement of which is set for August 5 this year. 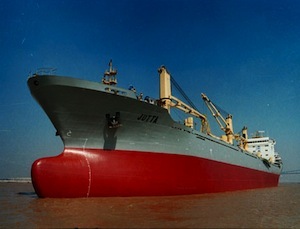 This particular manufacturer of large ocean-going ships is China’s fourth largest shipbuilding company and is based in Jiangsu Province on the mainland. Magnus Bocker, CEO of SGX, stated: “This is an exciting and positive development for Singapore as an offshore RMB centre. It also demonstrates how SGX is contributing to the infrastructure and capabilities required for issuers and investors to tap on opportunities offered by China.